This old five-needle pine carries my imagination up into the high mountains. 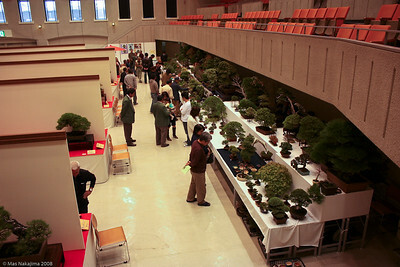 Last fall, Mas and I went to the Gomangoku Bonsai show (五万石盆栽展) in Okazaki, near Nagoya. Daiju-en (大樹園), which puts on this exhibit, stands at the head of a group of bonsai nurseries run by some of the finest professional bonsai artists in Japan. The proprietor is Tohru Suzuki, the grandson of the founer, Saichi Suzuki. My bonsai teacher, Boon Manakitivipart, is part of this lineage. His teacher (or oyakata 親方), Kihachiro Kamiya, apprenticed with Tohru’s father, Toshinori. 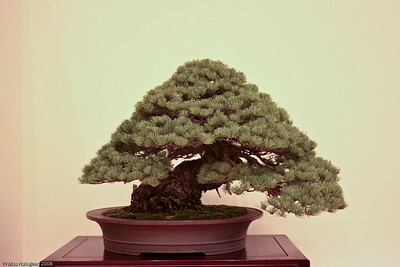 One of the things that sets Japanese bonsai apart from our American bonsai is the age and development of the trees. You can see this especially when you look at the ancient bark on the pines. In time our trees will also show the beauty and dignity of age. Gomangoku has a large, high-quality, sales area. 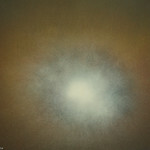 You are currently browsing the Suiseki Art blog archives for February, 2009.